Susie is just a fabulous doe and we are so blessed to have her in our herd. 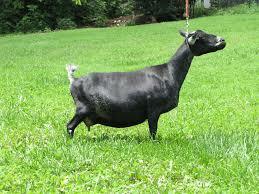 A structurally sound, angular doe; Susie is very dairy with loose, pliable skin. She has a great udder and one of my most favorites to milk. Its one of the qualities we've noticed about the Susie daughters (and Granddaughters). Besides being quick to milk out, they have "glued on" attachments, and an excellent wide extension of fore udder. Her teats are wonderful and easy to milk. When our Tevye daughters first freshened we almost panicked bc although their udders were structurally correct and socked on, they weren't very capacious. 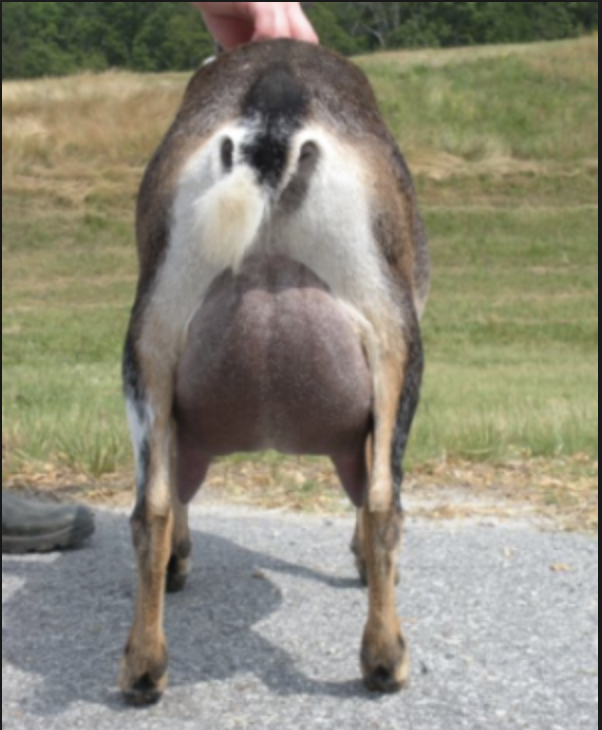 But, I happened to run across a picture of Susie's FF udder---wow---it was just like her granddaughters. So, we held out. Their 2nd F udders were totally what we were hoping for. In fact, one of Tev's 2nd F daughters classified (Spring 2017) with an E-93.2. 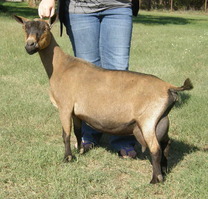 The only time the AGS Classifier (also a National Judge for ADGA) has ever awarded any goat with that high of score---giving her 93 (Fore), 91 (Rear), 94 (Support), 95 (Balance, Quality, Texture). Another Susie son, Winged Watchman is the sire of GCH Cori's Fancy WW Damiana 3*M EEEE91 and Daniella whose the dam of SGCH Cedar View of Heleena 4*M EEEE91.